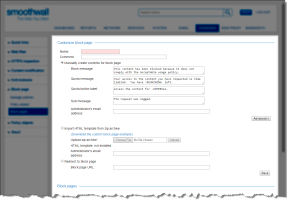 This block page is shown if a user attempts to go to a domain listed in the Adult SitesWeb Search, Image Hosting categoriescategory (for more information about categories see Working with Category Group Objects ). 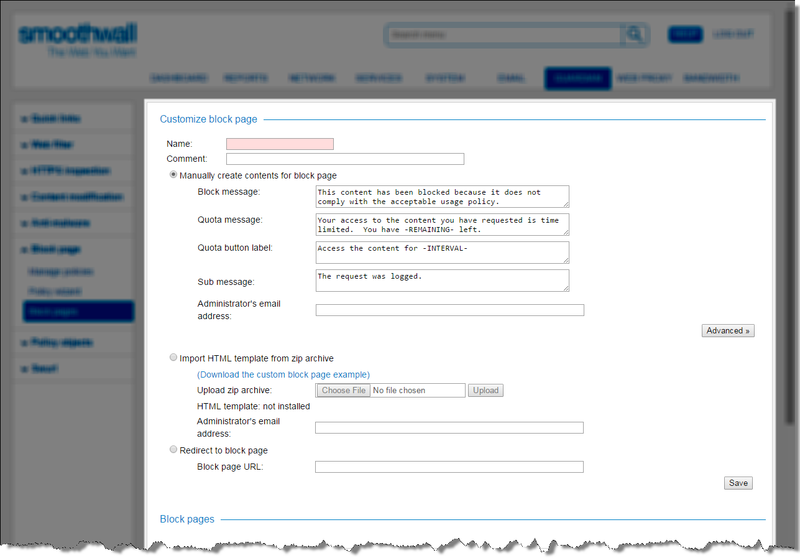 Note that if you are creating a customized block page for your tenants, you cannot use this option. Tenants are only available if you have the correct license type and they have been configured on the System > Administration > Tenants page. For information about tenants, see About Multi-Tenant Managed Services. For more information about licensing, contact your Smoothwall representative. Note that when an HTTPS inspection policy is enabled (see About Guardian Policies) and a user visits a site with an invalid certificate, Guardian’s temporary bypass will not work. This is because Guardian must check the certificate before authentication information for bypass can be detected. In this case, bypass controls will be visible on the block page if enabled, but will not work. To take advantage of the login button, Core authentication must be selected as the Guardian authentication policy — see Creating Authentication Policies. At least one directory server must also be configured on the Services > Authentication > Directories page — see …About Directory Services. 4. Go back to Guardian > Block page > Block pages if you have navigated away.